Abstract: The bicycle industry is an important part of many countries' strong economy. It can be commuting and exercising tools. Airwheel R6 hybrid bike is suitable for leisure riding, daily commuting and keeping fit. Airwheel makes it possible for one vehicle to meet all-rounded requirements of the whole family. R6 is the newest product to give you a different riding experience. 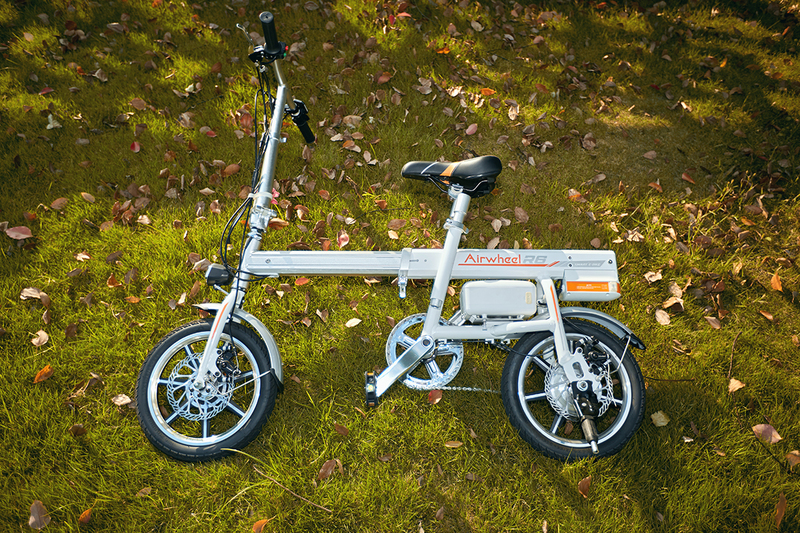 Airwheel R6 lightweight trekking bike works like a motorbike, most use torque sensors to assist your movement. This means that once you start pedaling, the motor kicks in and helps you on your way. Pedal harder and it pushes harder; stop pedaling altogether and the motor switches off. It offers two mode options. In the leisure riding, riders can choose a moped mode. The power system will assist riders to ride and it will not be too exhausting. The integrated motor and the Li-ion battery enable riders to alter between the three modes freely as they like. If R6 is shifted to a bodybuilding mode, it is like a traditional bike. Riders pedal and it will cost much human labor. After a day's work, it is a good choice for sedentary office workers to work out. 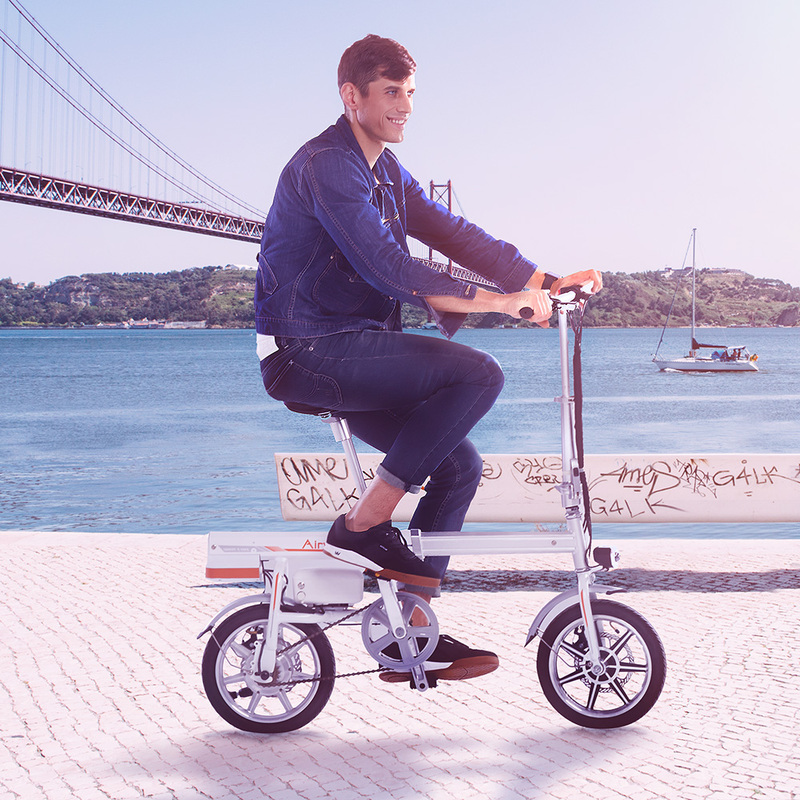 R6 electric folding bike introduces automatic folding system allowing riders to press one button to extend or contract automatically. It will easily fit in the trunk of most vehicles allowing you the freedom to do the things you enjoy. As the vehicle is small, it can zip through the crowded streets freely during rush hours. This will be a good option for office workers or students. Also, the saddle and operating rod are adjustable. Different riders can adjust them to the most comfortable position to get prepared for a ride. Moreover, its battery has an USB port and it can be removed from the vehicle to serve as a portable power source. Via the smart phone app, riders can learn the real-time positioning, speed and fault self-diagnosis. Importantly, Airwheel R6 electric moped bike is considered just as safe as normal bicycles. It obviously helps to obey the Highway Code and wear a helmet, but there are no additional barriers to getting on R6 such as passing a test or registering with a body.